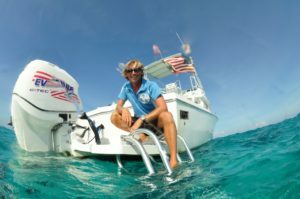 The nominations are in, and six worthy individuals who have contributed to ocean and coral reef conservation efforts in the Cayman Islands are in the running for the People’s Choice Award at the annual Festival of Seas Awards & Gala. Read more about each person’s contribution by expanding the details below. From 3 – 9 September, members of the public can vote on their choice for this award. CCMI will announce the winner at Festival of Seas on 3rd November 2018! If Douglas can bring a new way for small community facilities and individual homes to set up plastic recycling facilities, it will create a value for old plastic that will encourage others to not throw plastic away as well as an incentive to remove existing plastic from our oceans. The opportunity to have an affordable, sustainable and potentially profitable plastic recycling facility at a grass roots level will be an important step to involving the entire community in plastic recycling! For the last six years, Lucy Collyer has been a critical part of the Cayman Islands Department of Environment’s ‘Turtle Team’ in Cayman during turtle nesting season. As an unpaid intern, Lucy has spent seven months out of each year dedicated to the nest monitoring programme, working seven days a week, and on call 24-hours a day to respond to new nests, hatchling misorientations, poached/injured turtles and more. She has been responsible for collecting and collating data on sea turtle nests locations, size and hatch rate; providing education to students and community groups; leading other interns and coordinating day work volunteers. 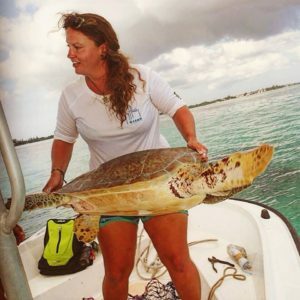 She puts a tremendous amount of energy and focus on supporting the sea turtle population as well as supporting the humans who also are passionate about helping sea turtles in Cayman. The incidence of sea turtle nests in the Cayman Islands has increased significantly since the scientific study began 20 years ago, going from 30 nests in the first year to over 600 nests across all three islands (412 nests on Grand Cayman) in 2017! The increase in nesting sea turtles is encouraging, it is clear evidence of a growing nesting population, showing that conservation efforts are allowing populations to rebound. As all sea turtle species are threatened or endangered, there is still a long way to go. With dedicate individuals at the DoE like Lucy here to learn about and help protect the local nesting populations, we can feel as if we are in good hands and moving in the right direction where sea turtles are concerned! On 16 April 2018, a fisherman spotted a ghost fishing net off Grand Cayman, with dead sharks and fish being trapped inside and the net drifting closer and close to Cayman’s coral reefs. 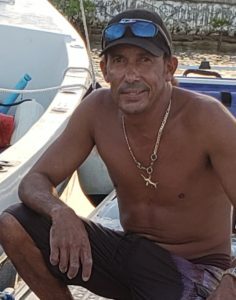 The GPS coordinates of the net were phoned into the government, but the net, which was about six miles off shore, eluded initial efforts to find and secure it. Relocated on 19 April by Capt Charles Ebanks, the effort to secure and retrieve this destructive ghost net from the ocean was on once again. This time, the net was about three miles off shore in about 30 feet of water and was becoming entangled on a coral reef near Rum Point. Capt Ebanks and his brother Adroy Ebanks took on the daunting task of securing this net by themselves, spending time free diving to carefully remove it from the reef and bundle it with rope. As it got dark that night, they decided to tie the net to a mooring to ensure it didn’t slip drift away again over night. He then returned the following morning to begin the removal effort, dragging the net to Harbour House Marina where it could be lifted out of the water with an excavator and a dump truck. Nets like this can exist for years, causing significant destruction as they drift along ocean current, trapping and causing the death of marine life in its path. The removal of the net from Cayman’s waters ensures that this particular net will no longer have direct negative impact on our local coral reefs. This effort by Capt Ebanks shows how everyone can take action to be an outstanding conservation partner as we all have an interest in seeing the ocean and coral reefs are protected and preserved. 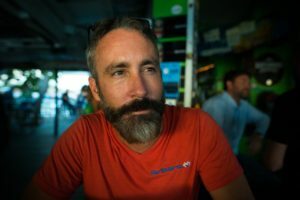 Cayman’s own Marathon Man, Derek Haines, took on the Marathons and Volcanoes challenge in 2017, raising $48,000 to help kick-off the Reefs Go live programme, which teaches students from the ocean straight to their classrooms while also raising awareness and interest for the initiative. 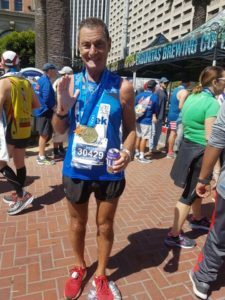 And if running a marathon (26.2 miles) doesn’t sound difficult enough, Derek included a range of desperately difficult courses so his supporters would be encouraged to dig deep and sponsor him. Spearheading a group called ‘Plastic Free Cayman’ is a teacher from Cayman Prep. She has made it a priority to educate people about the dangers of plastic in the ocean, how individuals can reduce and reuse plastic, and what alternatives are available to single-use plastic items. Her efforts to bring light to the disposable plastic problem in Cayman include numerous public beach cleanups, where trash that is collected is sorted, weighed and recyclables are recycled. 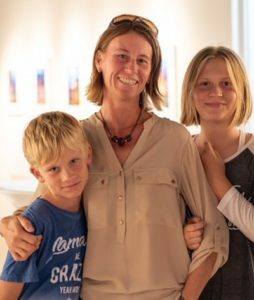 She has started an on-line petition to ban plastic bags on island, and Plastic Free Cayman has served as a catalyst for other similar interest groups to form in the spirit of expanding on the work of Claire Hughes. Claire has initiated many activities that have brought about public understanding and she has created a growing community of people who are concerned about the negative impacts single-use plastic has on our environment. Her beach clean ups yield immediate impact, making Cayman a more beautiful place while also removing debris from the environment. Claire plans and delivers assemblies to educate students about how to reduce plastic usage, and she is a role model for the children of Cayman Prep – and all of Cayman. Her work shows that small deeds are making a dramatic change for Cayman for the better! Through his work with the coral nurseries, Aaron has trained more than 70 volunteers in the Cayman Islands on how to work in the coral nurseries, as well as shared information about coral reefs, ocean conservation and techniques for working in coral nurseries to local students. In addition to inspiring the next generation through education and outreach efforts, the coral nursery work has resulted in the growth of more than 1000 pieces of coral, with more than 100 pieces being outplanted as part of restoration efforts. A 10-20 year plan for continued success in the coral nurseries will provide lasting benefits for the Cayman Islands. Voting takes place 12:01am on 3 September 2018 until 11:59pm on 9 September 2018. Limit one vote per email. The winner of the People’s Choice Award will be announced at the Festival of Seas Awards and Gala on 3rd November 2018 at Grand Old House. Tickets can be purchased here.